A months-long effort to reform the problem-plagued school finance system came to an end Thursday as House Public Education Chairman Jimmie Don Aycock withdrew a bill proposing fixes less than an hour into a scheduled debate. A months-long effort to reform the state's problem-plagued school finance system before the Texas Supreme Court weighs in came to an end on Thursday. Facing a slew of amendments and attempts to kill his bill on procedural grounds, House Public Education Chairman Jimmie Don Aycock withdrew his measure from consideration less than an hour into a scheduled debate on proposed fixes to the way the state funds public schools. "We could go all day with this bill," said Aycock, a Killeen Republican. "I don't think it's fair to leave this bill pending with everything else that's up when we know already the Senate is already almost certainly not even considering the measure." With just over two weeks left in the legislative session, the decision came as the House faced a key deadline: Thursday is the last day the chamber can take initial votes on bills that originated in the House. The topic of school finance was largely expected to go unaddressed this legislative session while a massive lawsuit involving more than two-thirds of the state's school districts awaits a ruling from the state Supreme Court. 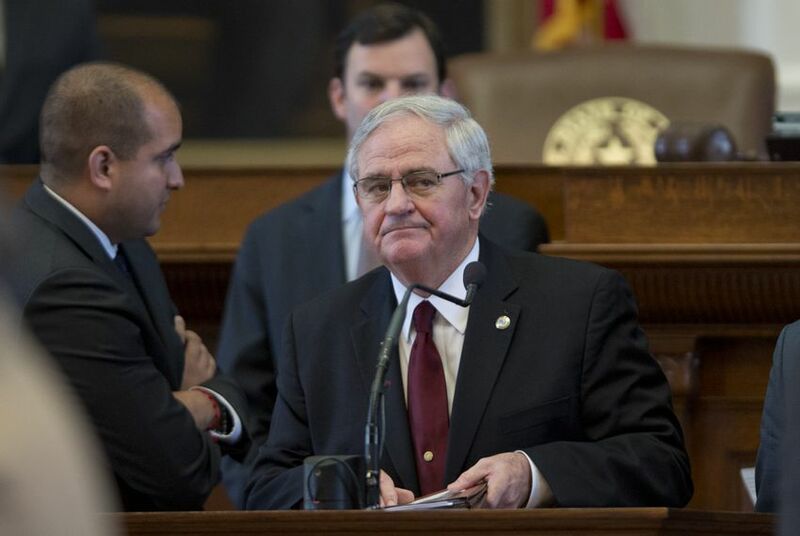 Texas school districts filed litigation challenging the state's school finance system after lawmakers slashed more than $5 billion from the public education budget in 2011. After months of private discussions and meetings, Aycock said in March that House leaders no longer wanted to wait for a long-needed overhaul of the system. But lawmakers in the state Senate, where Aycock struggled to find a sponsor for his legislation, did not share the same appetite to tackle reform this session. In an interview at the Capitol two days before he decided to pull his measure down, Aycock said it had "become abundantly clear" the Senate did not intend to move his bill even if it made it to that chamber. "It's one of the largest issues before the state, and I hope we get to talk about it," Aycock said. "I think a lot of the membership on the House side — and apparently on the Senate side — don’t seem to realize some of the problems we are facing and how big those problems are." Aycock's subsequent proposal added $800 million to the $2.2 billion the House had already allocated to public schools, while removing several outdated mechanisms within the finance formulas. The plan received criticism from some education advocates who said it exacerbated inequities already present between wealthy and poor districts — but Aycock's willingness to take on reforming the system was widely praised among school officials and lawmakers alike. On Thursday, he received a standing ovation from his colleagues in the House as they thanked him for his work on the legislation. "I want to thank Chairman Aycock for his extensive efforts to improve our system of paying for public education," said Speaker Joe Straus, R-San Antonio, in a statement released shortly after Aycock pulled his bill down. "The challenges in our school finance system are not going away. Solving these challenges will require a sustained and serious commitment by not only the House, but also the Senate, in the months and years ahead."